Engagement is important ceremony for both boy and girl. It is an emotional moment and both are excited to exchange engagement rings with each other. It is the engagement ring that symbolizes that the person is dedicated to someone and intends to marry him/her. Therefore, choosing the perfect and trendy engagement ring for one's partner is significant task and it is quite difficult task. In current ceremonial events, an engagement ring is a Diamond set in either a white gold or gold setting. There is however no definite plans for the design of an engagement ring. 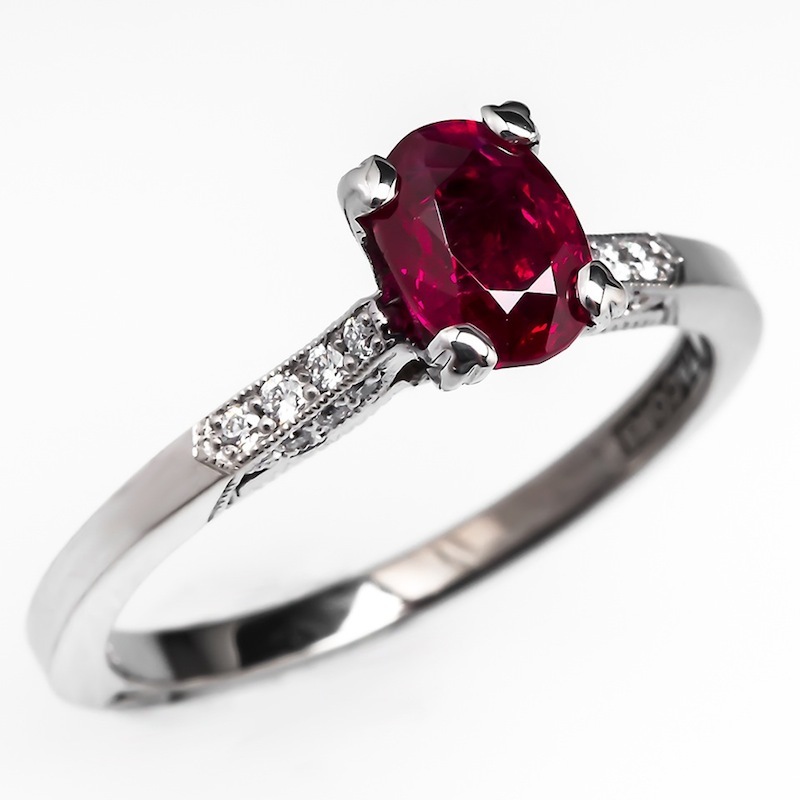 Engagement rings can feature other gemstones such as Rubies and Sapphires and often feature multiple gemstones. An engagement ring is no different from a promise ring or any other type of ring from a design or style viewpoint. It is observed that any ring can become an engagement ring and it is mainly defined simply by the finger it is worn on. Diamonds are the traditional choice for engagement rings. Common and timeless, they are the most popular kind of centre gem, as well as the most durable. First is to understand the feelings and choice of Spouse. It is advised to buy the type of ring as per the taste of sweetheart. It must be understood that partner who is purchasing the ring must take of preference of spouse as that ring has to be worn by spouse and if it is as per his/her liking, then only it is worth spending money. To read the mind of partner, know if your partner prefers traditional or contemporary and if your partner likes gold, diamond or a blend of both. This can certainly ease task of choosing the engagement ring, which would definitely be liked by partner. In Jewellery stores, there are range of designs and they will show all types of rings but partner's wise decision in store can select suitable ring for spouse. A common sense approach is best when choosing budget. An engagement ring is worn every day and subject to everyday conditions and more wear and tear than other types of jewellery. It is suggested to keep in mind the durability of ring, and it is best to choose harder metals and gemstones which are resistant to damage and don't require extensive maintenance. Unfortunately hard gemstones like Diamond and Rubies as well has higher grade metals like Platinum and 18k Gold which are quite expensive. It is not recommended to go beyond the budget. When choosing diamond ring for engagement ceremony, one of the best options would be Solitaire. There are many different variations when it comes to the solitaire. For instance, there is the Four-Prong Solitaire Setting, Six-Prong, The Beel Setting and even the Trellis Setting. There is even one that consists of a three stone setting. They include diamonds that come in many different shapes and sizes. Partners can find the setting with white gold, yellow gold or even diamond. Choosing a right brand is another good step for purchasing engagement ring for spouse. Gold is yellow-orange in its natural state and is normally alloyed with another metal for durability. Some prefer the lighter yellow colour of less-pure gold such as 14K or 10K. White gold is gold alloyed with metals purposely to give the mixture an off-white colour and must be plated with another metal. Rhodium is common for a bright silvery appearance. If the plating wears off, some jewellers replace their rings from time to time for free. Platinum is hard, strong and naturally silvery but will dull slightly from a mirror finish over time with wear, which is not necessarily a problem. Since a gold setting will make a diamond look very slightly yellowish, it is a waste of money to buy a very high colour grade diamond to put in it. Next factor is to set Budget for engagement ring for spouse. 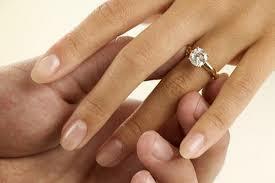 Once boy or girl knows the liking and choice of spouse, he or she can easily set budget and choose the ring. It is always preferable to determine that how much partner can afford. It is a touchy moment for both but feelingsmust not overpower in making a purchase. Before buying engagement ring for spouse, it is necessary to conduct market survey. For this, visit to several dealers, talk to different jewellers, try to explore as much information about the ring in question. Additionally, choose a reliable jewellery shop when finally buying the perfect engagement ring. An important advice in choosing engagement ring is that both boy and girl must avoid flashy designs. They should not present their partner with a magnificent or flashy ring that is out of fashion. It is good to choose a simple yet extra-ordinary ring for your partner. Best is to choose ring with a classic shape solitaire. While choosing engagement ring, it is good to get advice from Parents or Buddies. The idea of buying the engagement ring alone may not be effective. Visit to showroom along with parents or trusted buddy. It will help them when there is some confusion between two beautiful rings. Parents can assist in making the right decision. Many couples today choose antique engagement rings which are 50 years or older. Many engagement rings are available in art deco and art nouveau styles which pay tribute to the respective periods. It is a comparatively safe bet that antique and estate engagement rings will remain stylish. Partners should however consider their spouse style, if she/he prefers to wear contemporary styled jewellery. Donot spend a fortune on a beautiful engagement ring and present it in a cheap box. If person has intent to purchase less traditional gemstones, ensure they are harder gemstones. Softer gemstones will get scratch with the more frequent use of an engagement ring. If person wish to engrave a personal message on engagement ring make sure the ring is the perfect size first. It is thought that right choice for engagement ring is very important. An engagement ring should be anexceptional piece within her jewellery collection and for life long memory.